Nobody got it like Hampton, as those culty bass heads always say. Fresh off his Coachella return this past weekend, Bassnectar has delivered the line-up for his Labor Day weekend event. There’s no real surprises here beyond what Bassnectar has said personally to his fans in a previous AMA: Just two days of undulating bass and support from some heavy hitters and rising underground bass artists. Saturday support includes Troy Boi, K.L.O., and Tek Life: DJ Earl b2b Slick Shoota. 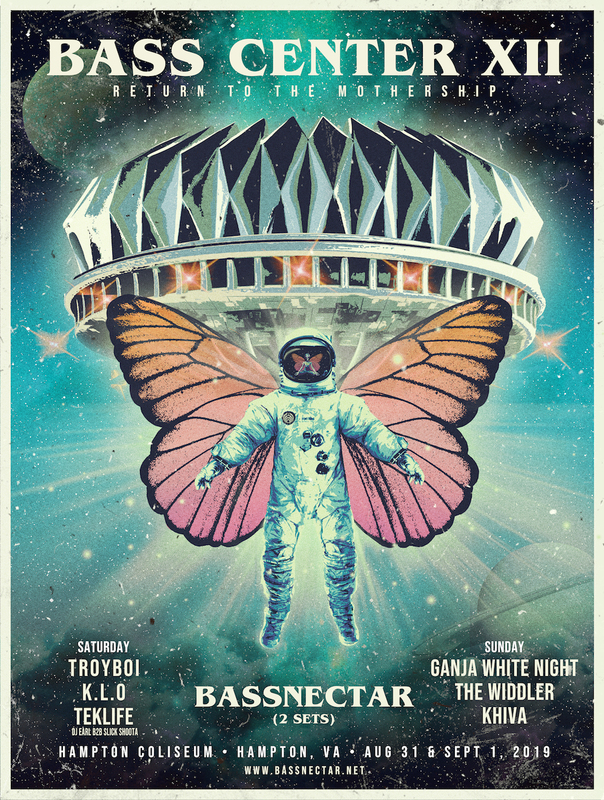 Sunday brings Ganja White Night, The Widdler, KHIVA to the Hampton Coliseum in Virginia. This event will also come with all the activity favorites of a usual Bassnectar event, The Lots, The Haven, The Gift Altar, Be Interactive + non-profit outreach, a massive Ambassador Team, loads of activations and ways to engage, and much more still to be revealed! Presale tickets go live Wednesday, April 17, at 10am ET. Public on-sale begins Friday, April 19 @ 10am ET. Here’s how to order.